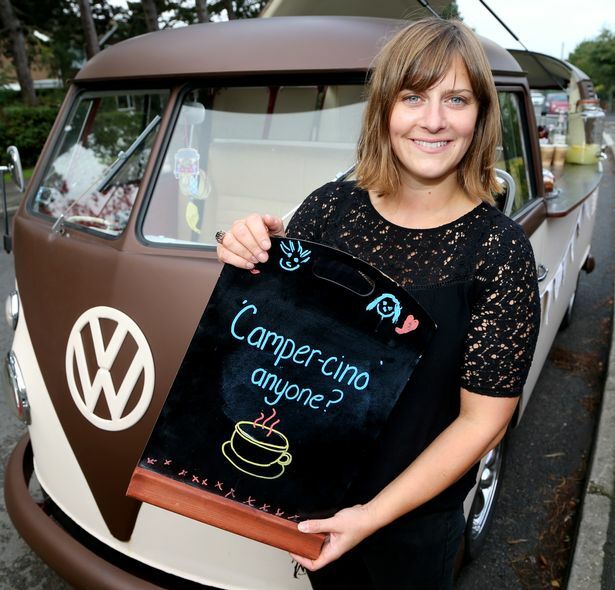 Jennifer Walker always enjoyed spending her summers camping – so much so that she decided to start a business out of a vintage Volkswagen camper van. The 41-year old now travels around the country selling high-quality coffee and homemade cakes from her mobile catering vehicle under the brand Split Screen Coffee. Her popular coffee and cakes have landed her with a small business of the year nomination at this year’s Nottingham Post Women in Business Awards. Mrs Walker, of Ruddington, said: “I was originally a teacher and wanted a change of career. “We’d always had a camper van and I originally wanted to start a travelling pub out of the van but realised it would be too difficult. 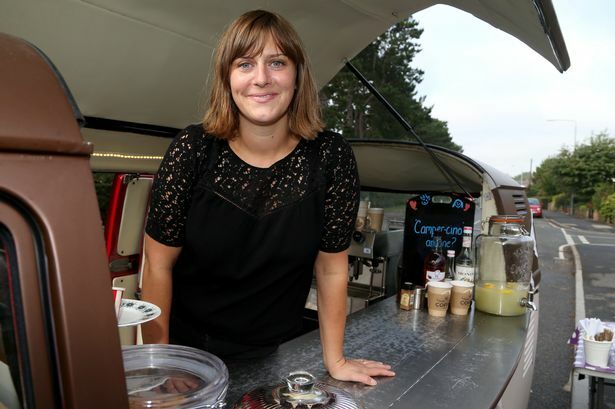 She bought the van two years ago and refurbished it to be a travelling coffee shop, and started trading soon after at the Great Notts Show in 2015, where the business proved to be a huge hit. “As soon as people saw us at the show, they came over and loved it. The business pitches up at various different food and drink shows and festivals around the UK, as well as taking private bookings for weddings, parties and events. Earlier this month, it was one of three Nottinghamshire companies included in a list of the top 100 small businesses in the UK as part of the Small Business Saturday campaign. It will be featured on one of the days leading up to the annual celebration on Saturday, December 2, as part of the “Small Biz 100” list, led by American Express in conjunction with the Federation of Small Businesses and Enterprise Nation. “One of my favourite events is working at the University of Nottingham open days,” said Mrs Walker. “The students and particularly the parents love it. “They are really interested in the city and what it’s like and are always asking us questions. Reflecting on her nomination in the awards, she said: “I am thrilled to be nominated. It’s brilliant to keep the money local and also to be chosen as one of the top 100 small businesses in the UK is incredible. This entry was posted in Uncategorized on 16/12/2017 by vwt2ocadmin.